Biri Biri have made a hell of a good album (which btw, sounds even better live, where they play covers, too). A hell of a good album, I say. This is good fusion as we know it: damn funk, intelligent and very fun, the musicians know the deed, lots of instruments (sax, trumpet, bongo, cowbell, cymball, drums, bass, etc), it's upbeat (mostly in the second part of the album), it's the bomb, i tell ya. Music to move the body and get the chicks to the next drink. These guys must hit on chicks all summer long down at their base, Crete island. "Killing Me Woman" is my favourite track. We've played the unstoppable uptempo bossa of But Rich Rhythms, extracted from their first album Rhythm Is What Makes Jazz Jazz, in our 21st Century Latin Vol.3 mix, way back in january 2009. You might have heard the creative team around Oliver Belz before, thru its earlier incarnation as The Juju Orchestra, who got the T.I.M.E.C. golden pepper with their vintage latin singles way back in 2006 for those following my writings. 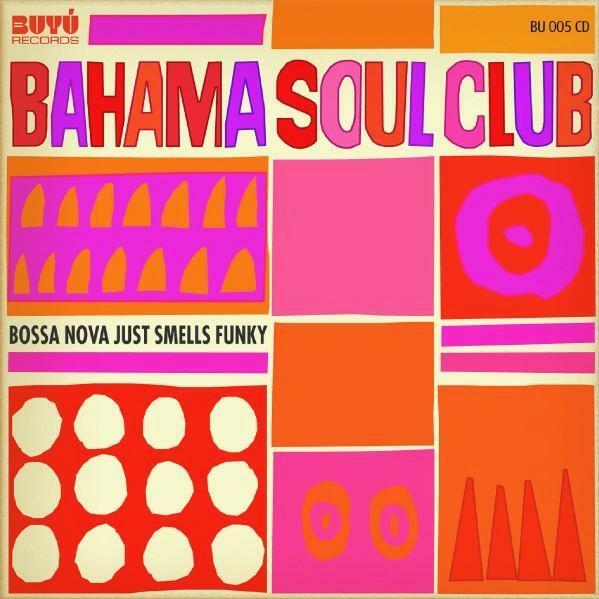 The Bahama Soul Club are now back with a sophomore album, Bossa Nova Just Smells Funky, deliciously clashing neo-retro soul, jazz, bossa and afro-latin grooves into a both immediate and timeless record. Dear Oliver, as long as you will keep on delivering such tasty goods, count on me to buy your vinyls!!! I first heard this outfit when they had just started posting music on their myspace page, since then I have been a massive fan! But then again, the main man behind The Bahamas, Oliver Belz, has a very fine pedigree having been one of the prime movers behind the wonderful JuJu Orchestra. His debut album as The Bahama Soul Club, “Rhythm Is What Makes Jazz Jazz” was hardly ever off the show, and was one of my albums of the year in 2008. But the big question is after making such a mark on his debut, can he deliver on that difficult second album. All the signs are there as he has retained some of the vocalists from the previous album such as Berlin resident Pat Appleton and Bella Wagner from just over the border in Austria, and to augment that very solid base he has also drafted in the combined talents of two of the finest vocalists in the UK, Xantoné Blacq, and one of my personal favourites John Turrell who was recently voted on my show as lead male vocalist for the UK Fantasy Funk Band. From the start, this album slips into gear with the superb jazz cut that is “King’s Wig” to the last knockout punch of the dancefloor monster “Nassau Jam” I can tell that Oliver has lost none of that Midas touch. There is something quite unique and mesmerising about the sound of The Bahama Soul Club, it is a gumbo in the best sense of the word, throwing in Bossa, Soul, Afro-Latin, and Jazz all into the pot and coming up with a sound that is both immediate, timeless, and above all has the sun shining through every single tune. Make a friend of this album as, believe me, it will be friend for life, it is that good! I had to stick up for this album since no one else has reviewed it yet. The lack of critical press for this album is puzzling, it is definitely some of the best music I have heard in a while. Egon from Now Again (subsidiary of Stones Throw) has done it again, unearthing a true gem that has Temptations style vocal harmonies set to hard funk and r&b. The music was recorded in 1973, but it contains a timeless quality which would sound fresh and exciting in any era. There is an urgency and energy to the music, from the socially concerned lyrics to the incredible instrumentation. 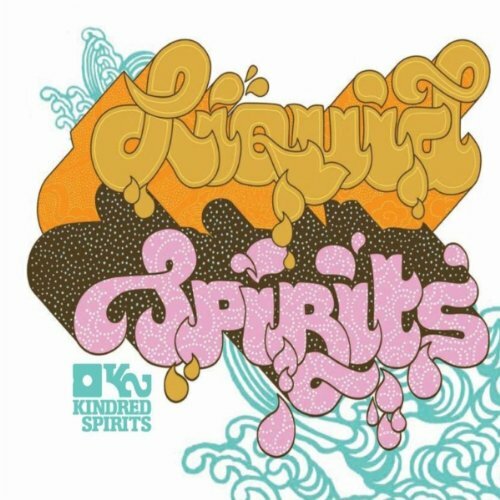 Fans of L.A. Carnival or any other funk and soul groups need to check this out. Highly recommended. The Debut Soul CD From This Dutch Formation Featuring Key Player/Vocalist U-Gene, Backed Up by Wiboud Burkens, Also On Keys And Manuel Hugas On Bass And Effects Plus Numerous Other Guest Musicians Like Phonte Of Little Brother, Raffaela, Cyril Directie, Marc Bien, Jasmin Tusjadia, Dedre Twiss, Lo Van Gorp And More. A fantastic bit of tripped out funk! 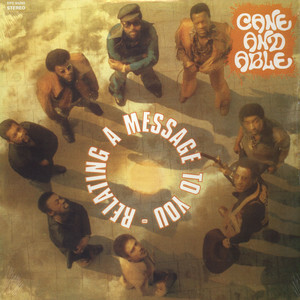 Cane & Able were one of the many groups that came out of the collective surrounding the Lafayette Afro-Rock Band in the early 70s — and like that group, Cane & Able draw on a wide range of influences to create a heavy funky sound. The album mixes the African influences used by the LARB with more of a hard soul vocal approach, with some cuts sounding a bit like material from Atlantic albums of the late 60s, but handled with more of a fuzzy edge. Includes a great funky reading of Wilson Pickett’s “Don’t Knock My Love”, a cover of “Who’s Gonna Take The Weight”, and the long tripped-out groover “Girl You Move Me”!